In less than two weeks the future of the National Football League will shake hands with Commissioner Roger Goodell as they cross the stage during the 2019 draft. 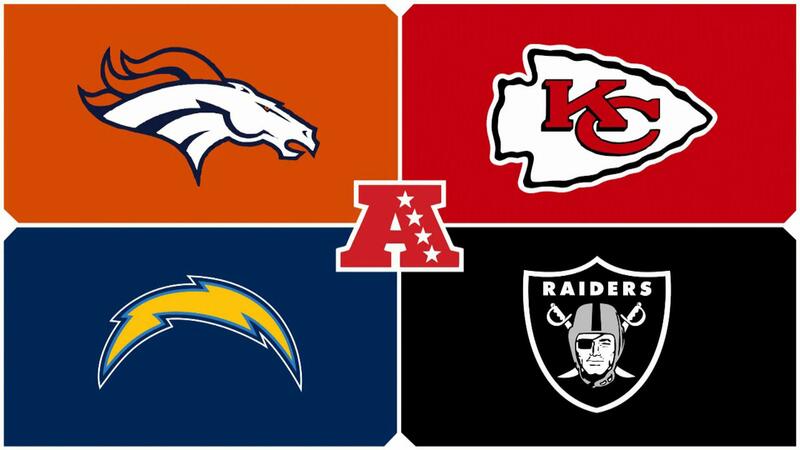 The AFC West division is home to some of the highest powered offenses including Patrick Mahomes and the Chiefs as well as the well-rounded Chargers. With the second year era of the Jon Gruden Raiders and the rebuilding Broncos rounding out the division, an interesting season waits ahead. If not for the walking legend himself Tom Brady, the Chiefs could’ve very well been looking at a super bowl appearance in 2018-2019. The Mahomes lead Chiefs set the league on fire with 35.3 points per game. Travis Kelce and Tyreek Hill lead the way as primary weapons, while Damien Williams filled in nicely once Kareem Hunt was dropped from the team. However, in the end, it was the Chiefs’ glaring weakness that proved to be their downfall. An undisciplined and subpar defense. Despite ranking second in the league in takeaways and first in the league in sacks, Kansas City gave up the second most yards in the league at over 400 per game. Losing Justin Houston and Dee ford leaves the team in need of an edge rusher to compliment Chris Jones. They also need a corner again after losing Marcus Peters and Stephen Nelson in back to back years. The Chiefs will be in contention based solely off the fact that Patrick Mahomes is their quarterback. If they want to take the next step, they’ll fill out the defense while the championship window is open. The Chargers built off the second half of their 2017 season and brought that into 2018. The results with a healthy team lead to a 12-4 record and a divisional round appearance. However, like the Chiefs, they were also victims of Tom Brady. The offense was consistently dynamic throughout the season thanks to a trio of receivers and a deep running back group when Melvin Gordon missed a few games. However, with Tyrell Williams departing and Keenan Allen and Mike Williams both being injury prone, the Chargers need to consider adding another wideout in the draft. On top of that adding better protection at the tackle position is a must. With Philip Rivers already being slightly immobile and aging by the day, protecting him to extend his career should be prioritized. On defense, the Chargers feature athleticism in all three phases. Joey Bosa and Melvin Ingram off the edge make a dynamic pass rushing duo. Corners Trevor Williams and Casey Heyward, as well as dynamic safety Derwin James, gives the secondary ball-hawking tendencies. If the defense has one weakness though, it is the lack of run stuffers they have up the middle. This was exposed in the playoffs when the Patriots ran crazy on them. Addressing the point of attack on both sides of the ball as well as adding a receiving threat should occupy the draft boards for Los Angeles. What you have in Denver is the prototypical refusal to go into rebuild mode. The team still features talent from their championship roster four years ago in Von Willer and Chris Harris Jr. However, the revolving quarterback door continues as the team brought in Joe Flacco this offseason via trade. On a roster with an iffy offensive line and aging as well as inexperienced receiver talent, the lack of a consistent signal caller is a problem. On defense, the team still features Von Miller and was able to add a young pass rusher in the draft last year with Bradley Chubb. The secondary features Chris Harris Jr as the top corner, but depth is questionable after that. However, the biggest concerns stem from the linebacker and interior defensive lineman positions. The team was bottom 10 in the league last year in rush defense. The once stout Broncos run defense took a step back. As long as Denver refuses to enter rebuild mode, the team has to beef up the defensive line of scrimmage as well as linebacker talent. Oh, and trying to find a real future quarterback would help. Year two of the Jon Gruden era will hopefully turn out better for the Oakland faithful. If the start of the offseason is any indication, things are looking promising. The big move so far was adding Antonio Brown from the Pittsburgh Steelers. Him as well as free agent acquisition Tyrell Williams gives the Black Hole a fresh receiver duo for Derek Carr. Trent Brown was also added to the offensive line to beef up the tackle position and protect Carr. The last piece to the offense will be a running back, but besides that, the offense is progressing. On defense, there isn’t as much optimism, but brights spots to be found nonetheless. Gareon Conley, Karl Joseph, and free agent pick up Lamarcus Joyner form a solid secondary trio. The team now sits one corner short of their preferred depth. Vontaze Burfict should immediately improve an otherwise lacking linebacker group. Lastly, while the defensive line is unproven, they have young talent. The team is missing a consistent pass rusher though. The absence of Khalil Mack can only be made up for by having a successful draft. With a successful pass rusher selection with the team’s first pick, Oakland could have a winning season on the horizon in the near future.